GTM Owners Club Forum - View topic - Mount up. Hi, anyone know what is the best mounting to use between sub frame turret tops and GTM chassis? Are solid, poly or standard mounts best? No response to this so thought I'd chip in -- the GTM doesn't have a box section above the towers like a Mini so there isn't a "top mount" as such. I'm only familiar with the early twin bolt system where there is a packer piece between the subframe tower, which isn't flat and the GTM bracket -- this is a standard Mini part -- and fixing is by two bolts which are much shorter than the Mini type. You may have to shorten standard length bolts to make sure that they don't lock out on the spring before they tighten the frame to the bracket. You may wish to use high grade bolts and the standard Mini lock tab to ensure they don't come loose. With the single bolt later frames I think its very much the same but you'll have to source a short large diameter bolt -- not sure what size -- you may have to have machined for you -- Derek Hamby may stock this. Go for either poly or solid, don't use the standard 'Mini' rubber ones. 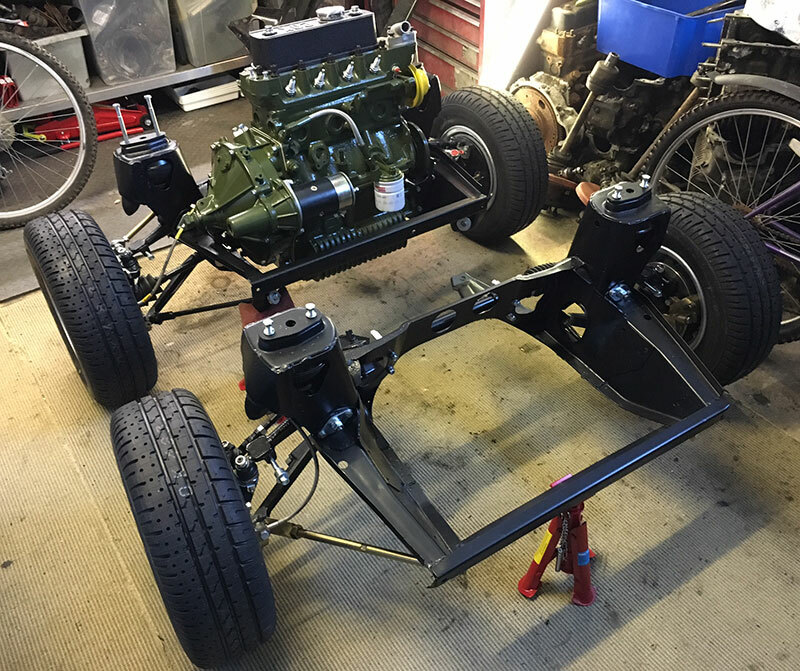 I have an early COX GTM which uses the early Mini twin bolt subframe (2 per tower). Mine uses the thin space on top of the towers and as Steve says I had to use shorter bolts on the front and longer ones on the rear. If you have the later shock mounts they act as a spacer (6mm) it is only on Cox Heerey that you need the spacer on the front I think.